Fishes are oldest aquatic vertebrates found all over the globe. Nearly 500 million years ago the first fish appeared on the earth. Today fishes make up the largest group of vertebrates with 24,000 species. Fishes have their habitats in lakes, streams, oceans, and estuaries. In 1991 it was estimated that 2546 species of fish populated the world. Out of which 969 belong to genera, 254 families, and 40 orders. Around 80% of fish population around the globe was represented by the Indian fishes. Fishes are capable of living in both fresh and marine water. Fishes are cold blooded animals in the world that are covered with scales and equipped with a pair of fins to swim in the water. Unlike other animals in the world fishes do not have lungs as their breathing organ. Fishes are provided with a special organ called gills which are used for respiration. With the help of gills they draw oxygen from the water and into the blood stream. Fishes reproduce by laying eggs. Fish has a streamlined body which helps them to move through the water quickly. To keep them safe from the enemies they have dark color on the top and light color on the bottom. They can change color rapidly and reflective cells in their skin discoloration. The size of the fish ranges from an inch to sixteen feet. To know more about the structure of fish and their activity refer to the FISH ANATOMY. Depending upon the habitats and characteristics there are a variety of fish available on the world. 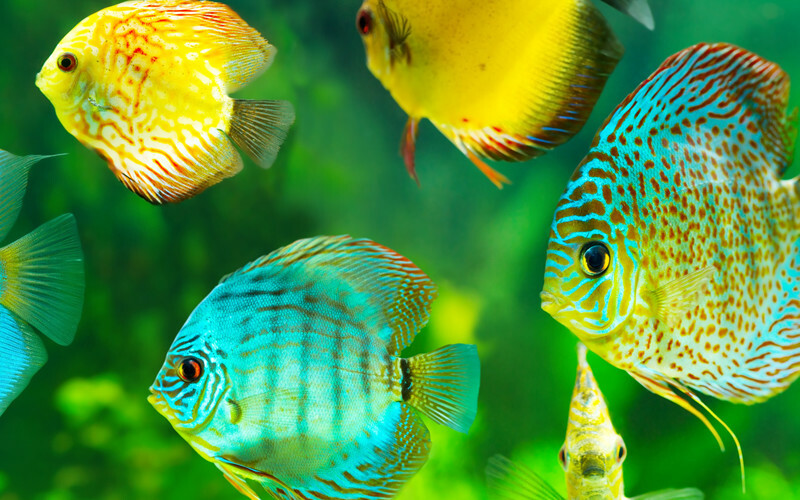 Fresh water, tropical, marine, cold water and aquarium fish are the major types of fishes. These fishes are found in the water bodies such as lakes and rivers in which the salinity is less than 0.05%. About 41 species of the fishes belong to the fresh water habitat. Some of them are bala sharks, betta fish, candiru fish, gold fish, and oscur fish. Fishes that are capable of living in the sea water are known as marine fish. About 15,000 species belong to the marine species. Tropical climate is required for most of the marine fish to survive. Every species of the marine creature have their own appearance, environmental needs, nutritional requirements, reproduction capability, and compatibility. Blue whale, dolphin, cuttle fish, jelly fish, loin fish and star fish are the major marine fish species. These fishes require warm and tropical climate to survive. Both freshwater and saltwater species come under this category. Because of their bright coloration they act a popular aquarium fishes. 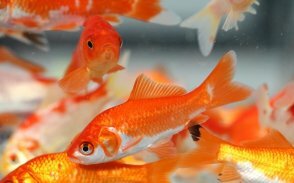 Angel and gold fish are more famous for the aquarium environment.